At almost 30 years old, Rod Laver Arena will be refurbished as part of the $700+ million Melbourne Park Redevelopment project. 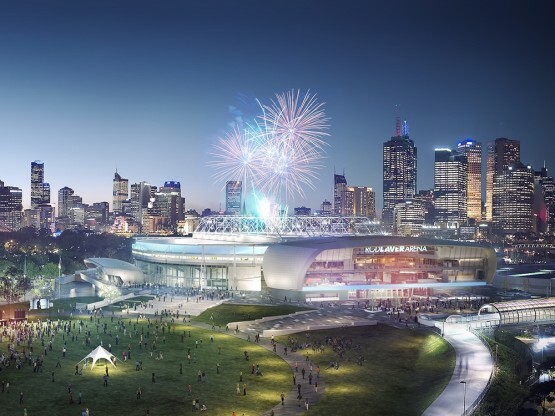 This will significantly enhance every aspect of the customer experience and rejuvenate the external design of the iconic venue as well as ensuring it continues to host the best events in Australia. • A new eastern annex which will be become the main public entrance to the arena and provide new public amenities. • New food and beverage outlets, including outlets on the floor level providing patrons with easier access to food and drinks during shows. • Upgraded bathroom facilities with additional toilets, including a Changing Places toilet to cater for patrons with disabilities. • Increased disability access including universal access to the seating bowl. • A larger, more efficient loading bay that will allow concerts to be set up faster and increase the number of shows. • Increased rigging capacity and back-of-house improvements to accommodate promoters and hirers bringing the largest shows to the arena. Philip Chun are engaged to provide both BCA and Access consultancy for this project.